One of the things I found hardest as an inexperienced blogger was sticking to a schedule… actually, to be honest, I didn’t have one! When you don't know how to make blogging easier and more enjoyable, publishing regularly can be quite a challenge. Please don't beat yourself up over it. After all, you are not a professional writer! But the way blogging works — it’s like any social media in this respect — is that the more you write, the more likely it is that people notice and read your posts. What happens when you don't blog? When you don’t blog, your readers look elsewhere, they don’t seem to notice that you’re silent — in effect you’ve become invisible. Nobody likes looking at websites with an inactive blog either — it looks as if you’re too busy and/or can’t be bothered. Of course, you might argue that you are simply short of ideas, that you lack motivation or even have writer’s block. My own problem was that I used to be a bit of a perfectionist. I would often be far too critical about my writing. Of course, my excuse was that I write in a language that isn’t my mother tongue but truth be told, I could never decide when a post was good enough. Lacking confidence, consequently I wasted days and occasionally even weeks not making any real progress. I was procrastinating and blogging was becoming a chore rather than the enjoyable activity I had hoped it would be. Fortunately, over the years, I’ve managed to lighten up on the perfectionism, find a way to make writing enjoyable, increase my output and achieve some consistency too. I’d like to tell you a little story that hopefully helps you to see that anyone can overcome their resistance and make writing more enjoyable. When I can’t see my baby grandson for a few days, my daughter and I use FaceTime to stay in touch. If you’re not familiar with FaceTime, it is a Facebook service for Mac, iPad and iPhone users that is like Skype in that you can see each other while you talk. 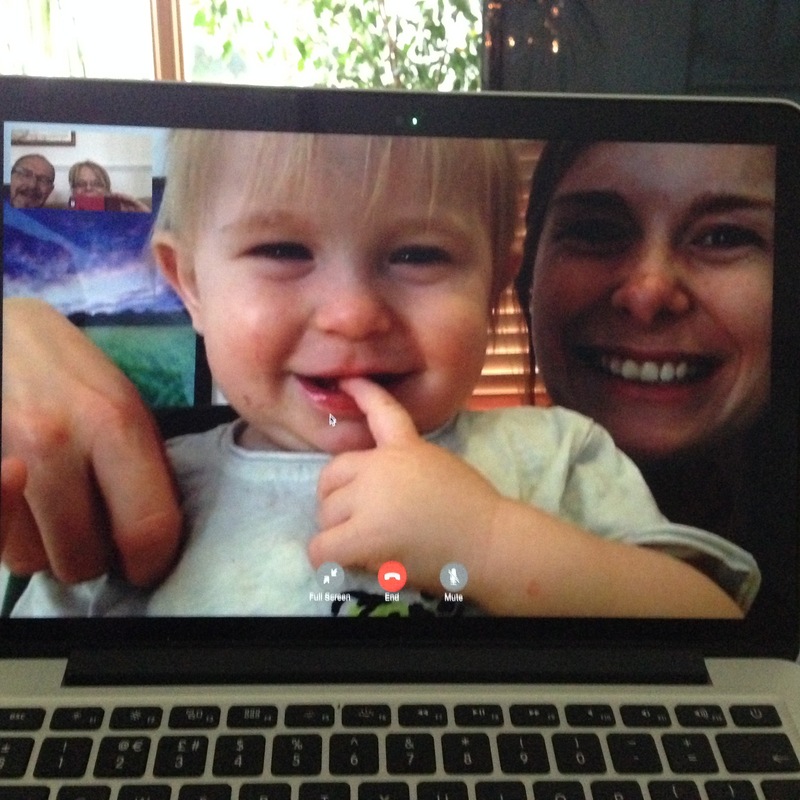 When we started using FaceTime, we created a little routine that involved me singing his favourite nursery rhyme. What might be worth pointing out here is that I struggle to sing in tune. But it doesn’t really matter — I try my best, I do all the necessary actions and I’m having fun. That’s what my grandson really loves! So what’s my message here? Well… there are actually several. They all make blogging easier and more enjoyable too! Although your reader is more likely an adult and not a child, they will appreciate the visual side of your blog as much as the written word. Using more of your own photos or recording a short podcast or video will liven up your blog and could be fun to do too. A story or something that happened to you can be a great metaphor for your post. It doesn’t just give your writing a personal touch, I find it makes writing more fun. Always remember that your idea of perfection may not necessarily match someone else’s idea. Lower your own expectations just a little — the chances are, no one will notice the difference. And you may just enjoy the process of writing more. The more you enjoy writing your post, the more likely it is that your reader will feel touched by your story or topic. So it always helps to focus on topics close to your heart. Entertaining (or educating) readers — or however you help them — is easier than you think when you know exactly what they want. You can make writing easier and more enjoyable by just addressing one question or problem at a time. 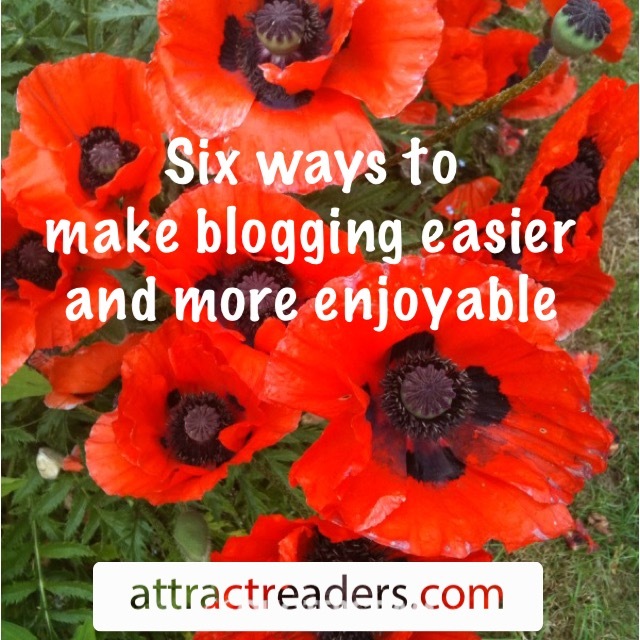 The more you blog, the more motivated you will be (think fun!) and the easier blogging gets. It’s true! Ultimately, blogging is like any social media — you get out what you put in. So why not pay a little more attention to your blogging from now on and decide to have some fun with it. You will reap the results in no time at all!